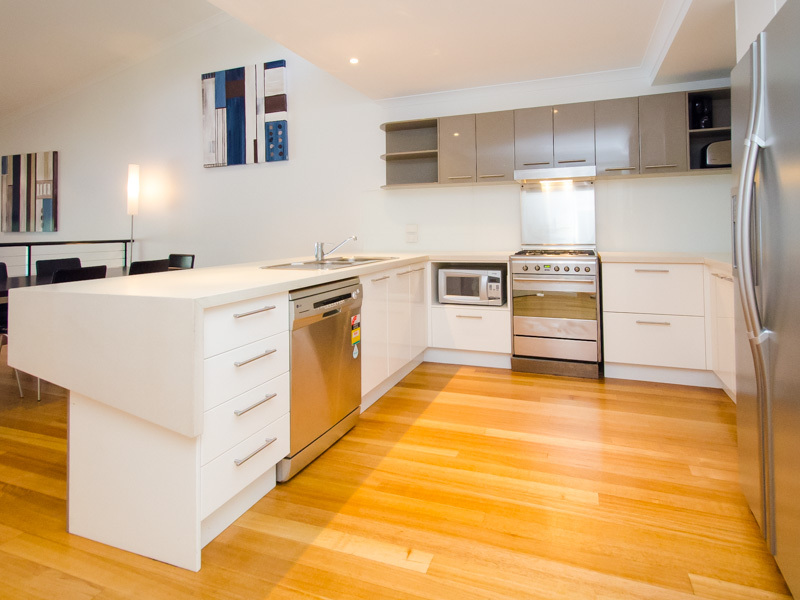 Modern, open-plan two bedroom apartment. 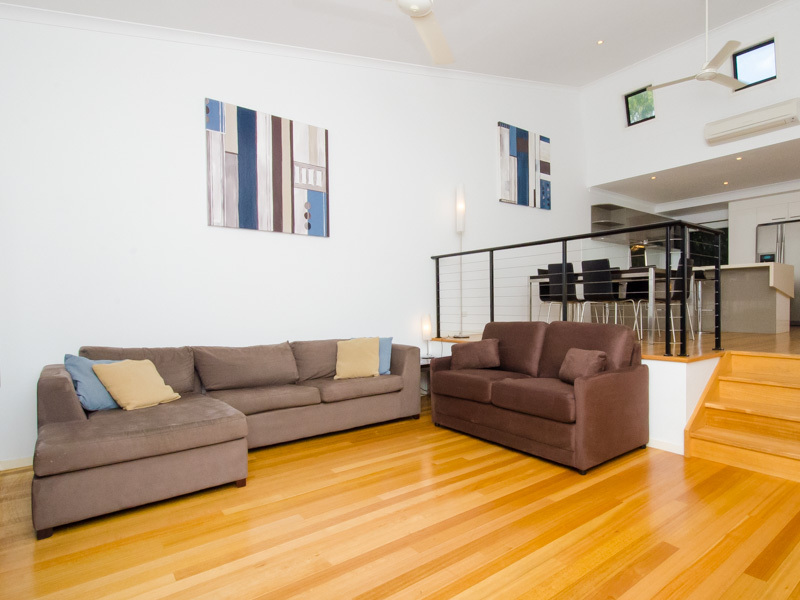 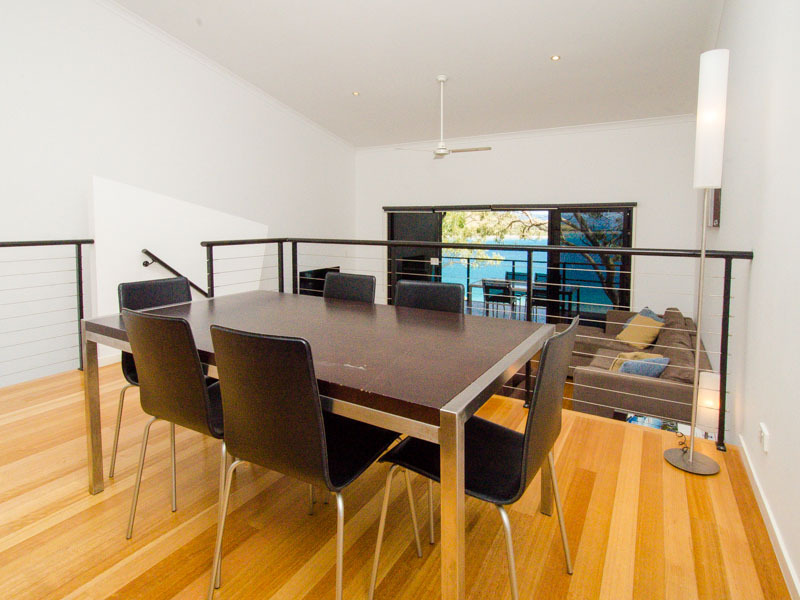 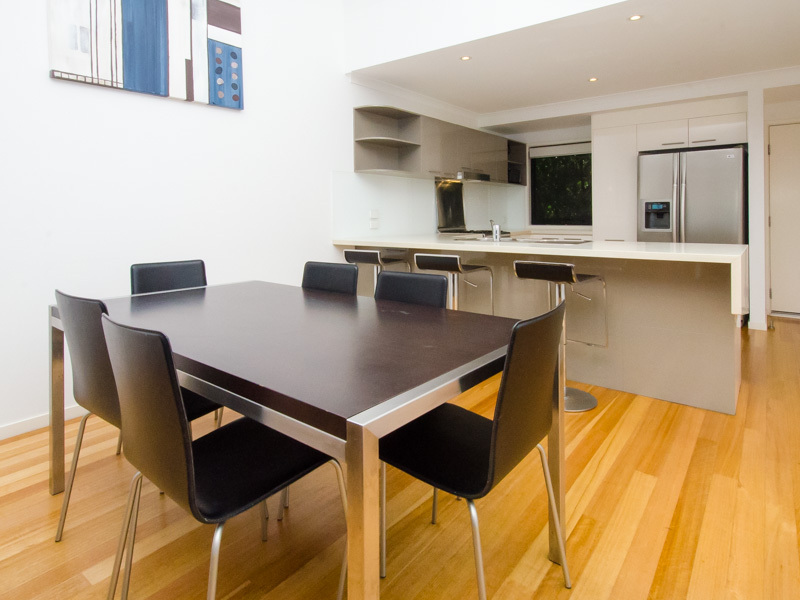 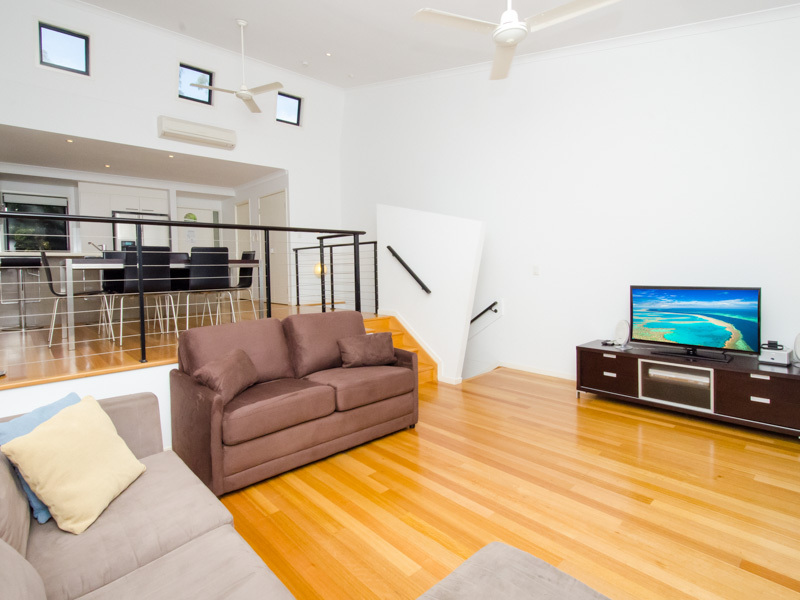 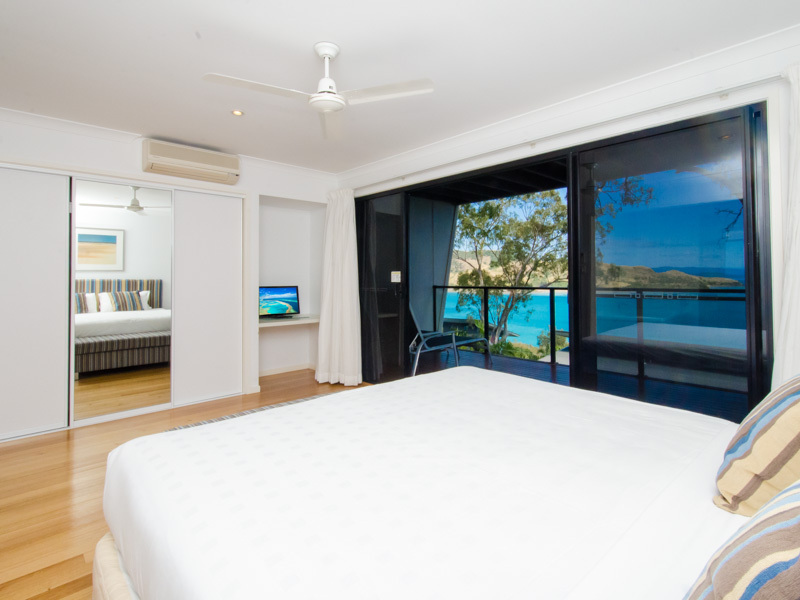 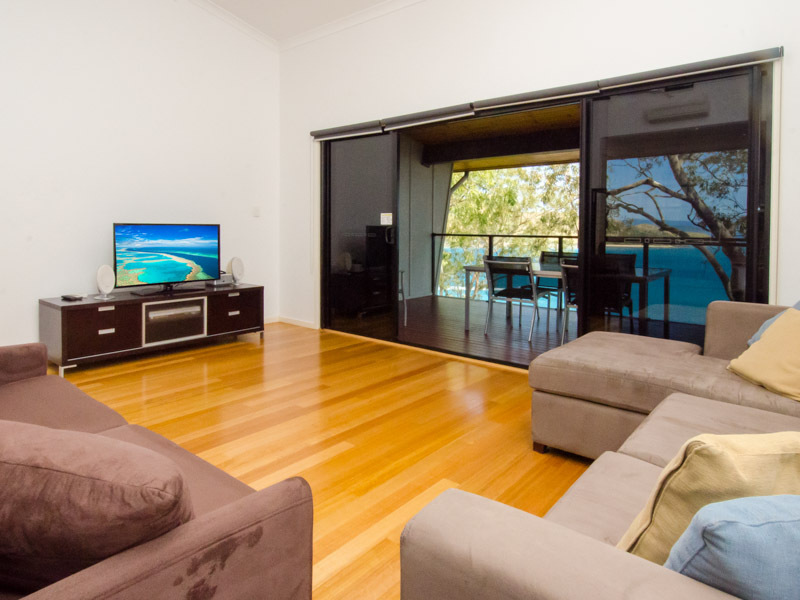 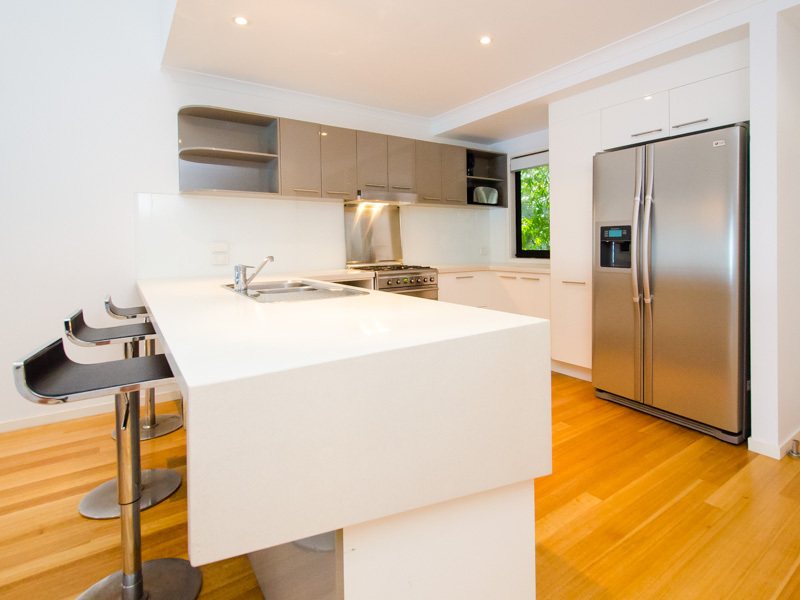 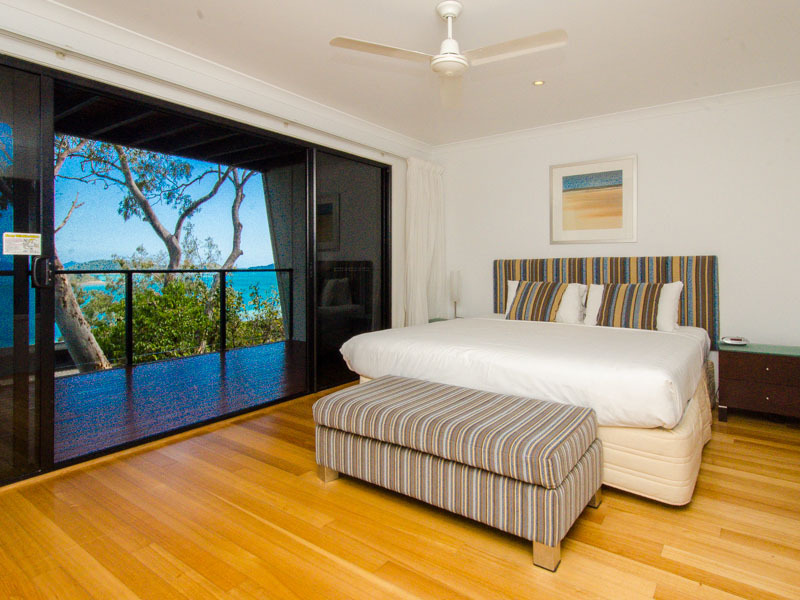 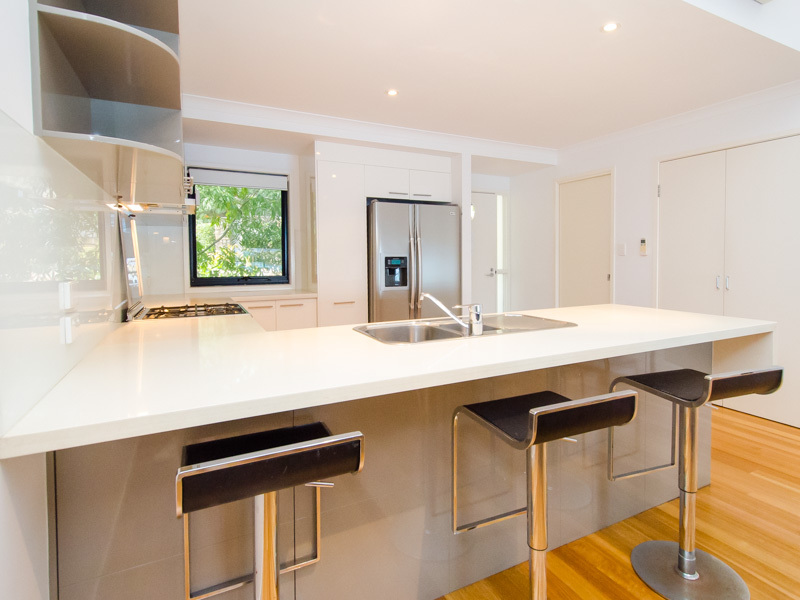 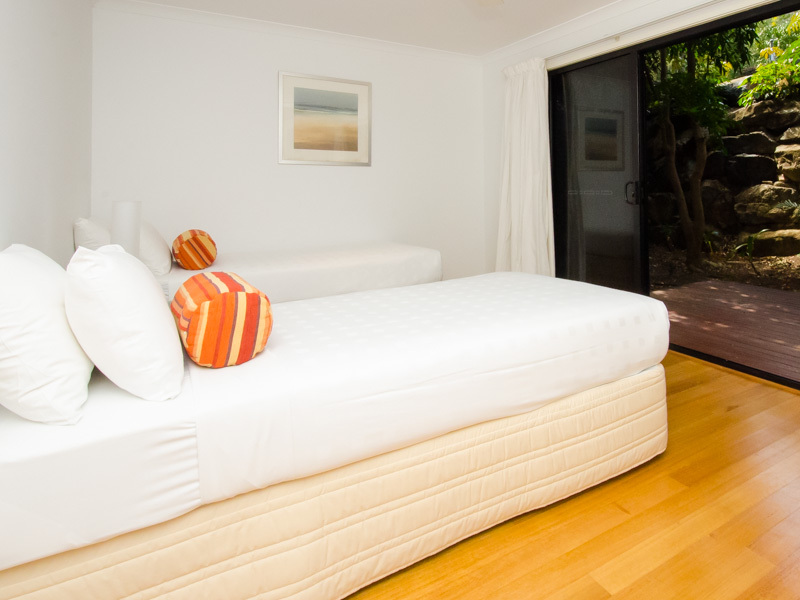 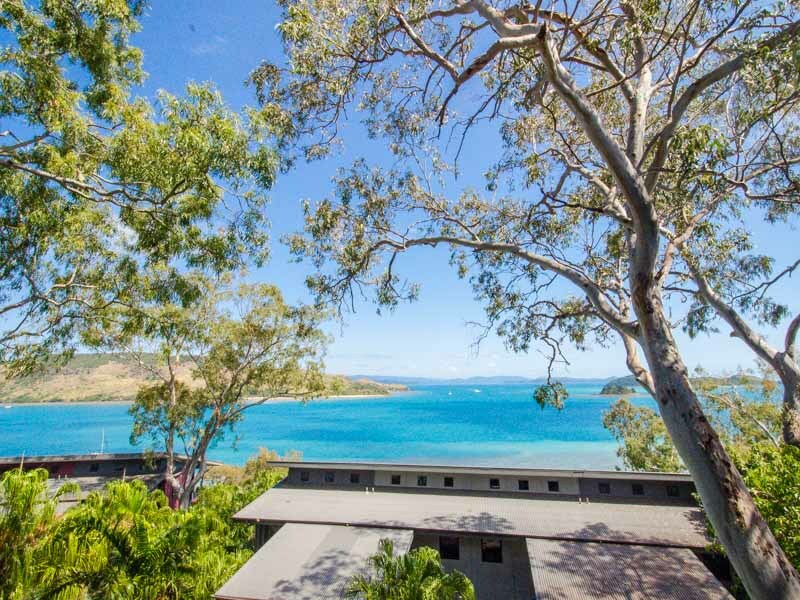 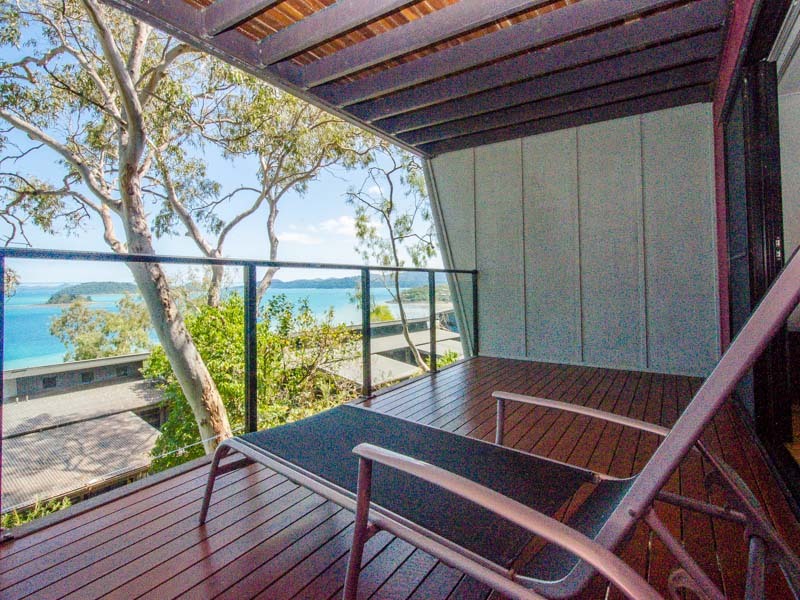 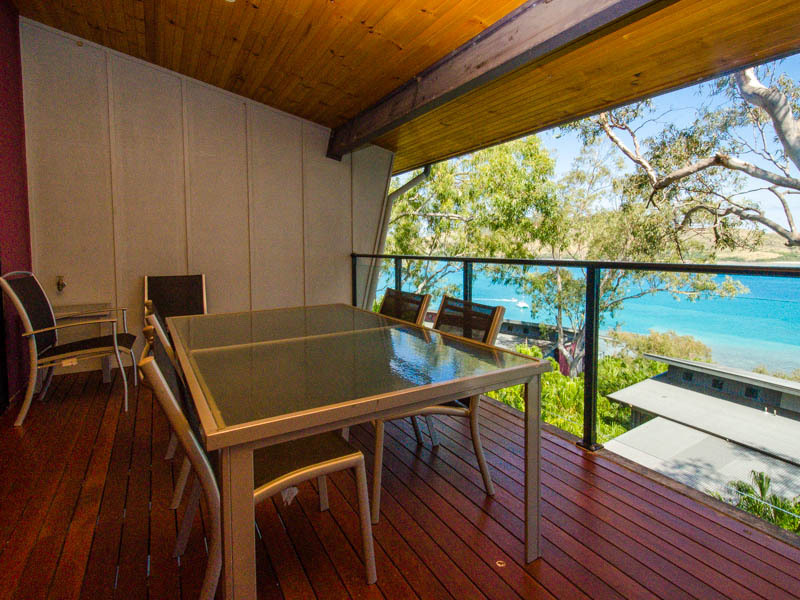 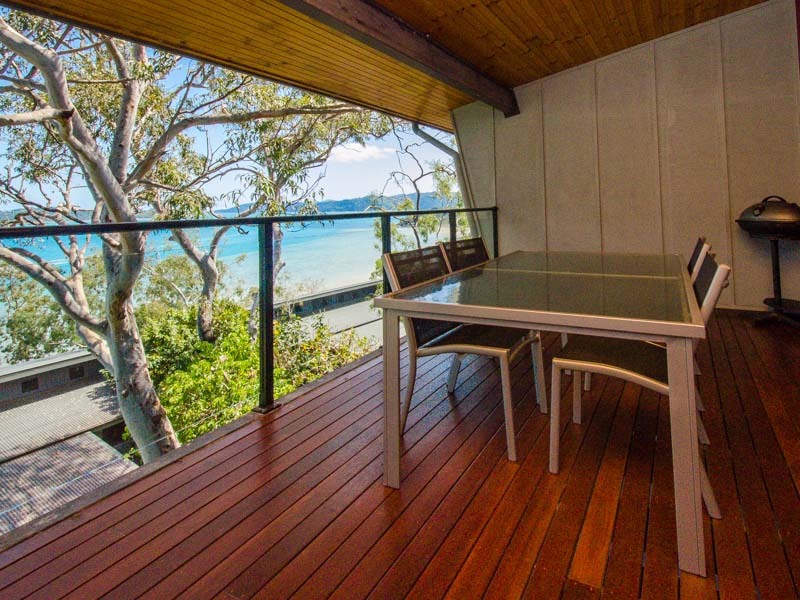 Located on the Marina side of Hamilton Island, Shorelines 6 is a split-level, open plan apartment that offers lovely views across native bushland and the Whitsunday waters. 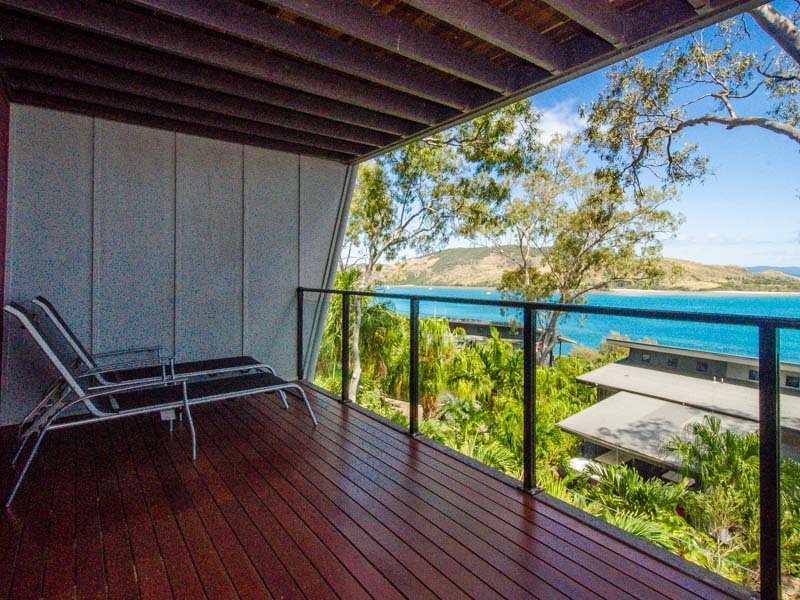 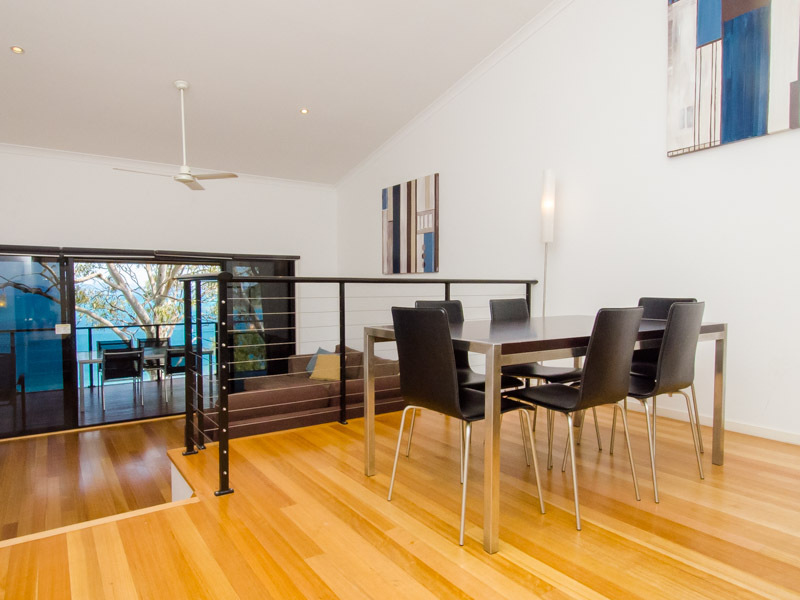 There is a large undercover balcony that's ideal for entertaining, two spacious bedrooms, and the property is fully air-conditioned throughout. 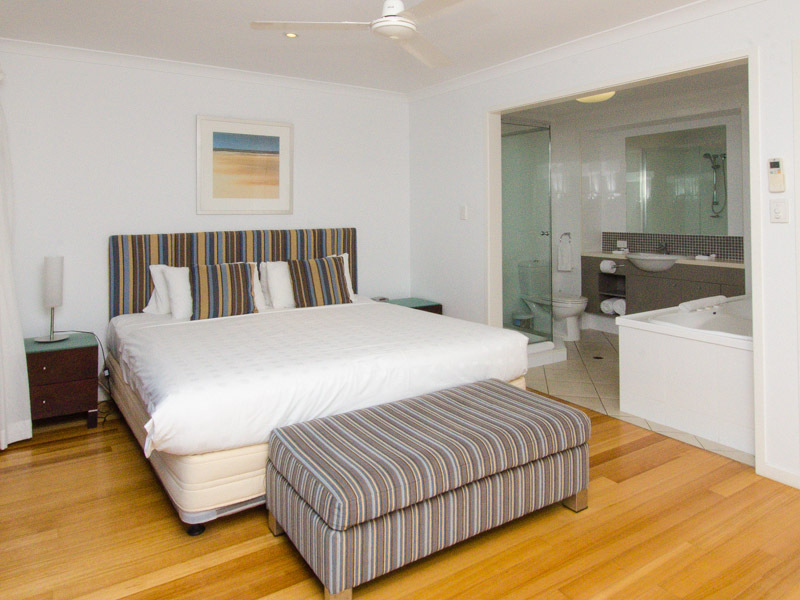 As a guest of Shorelines, you also have access to two shared pools, which are ideal for families. 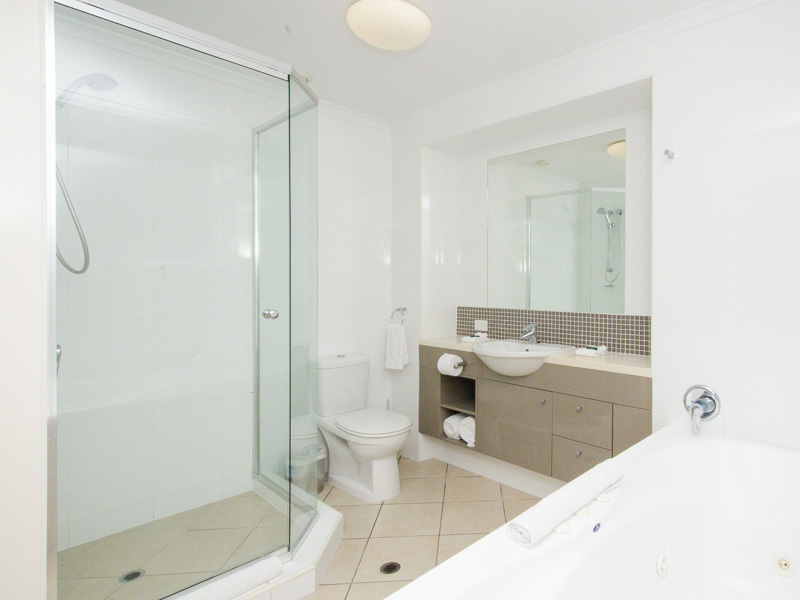 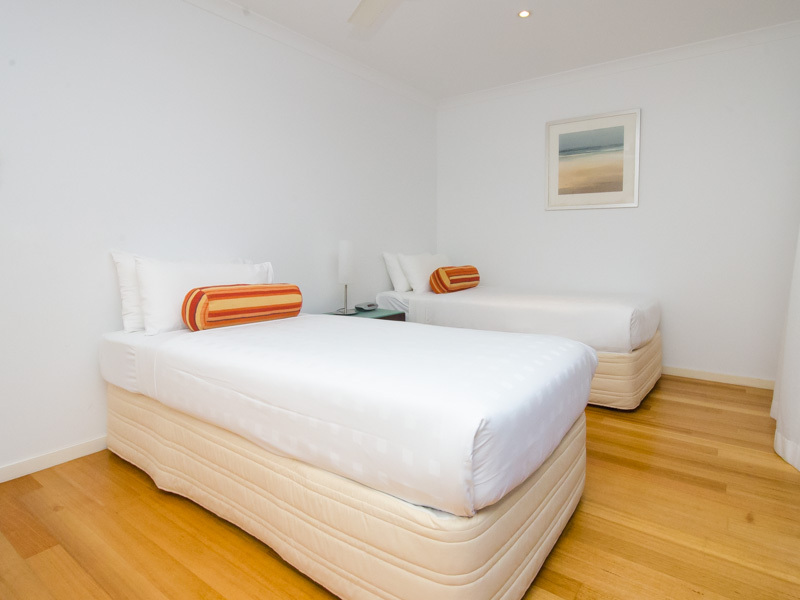 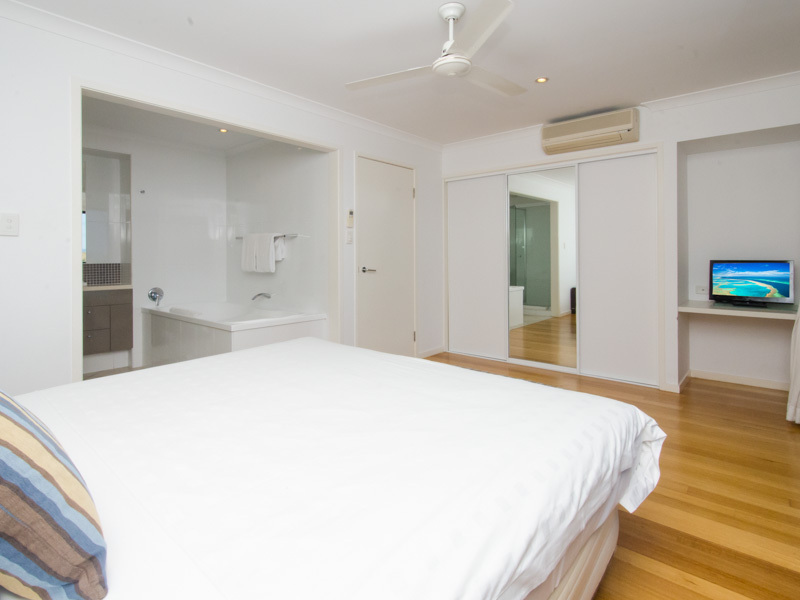 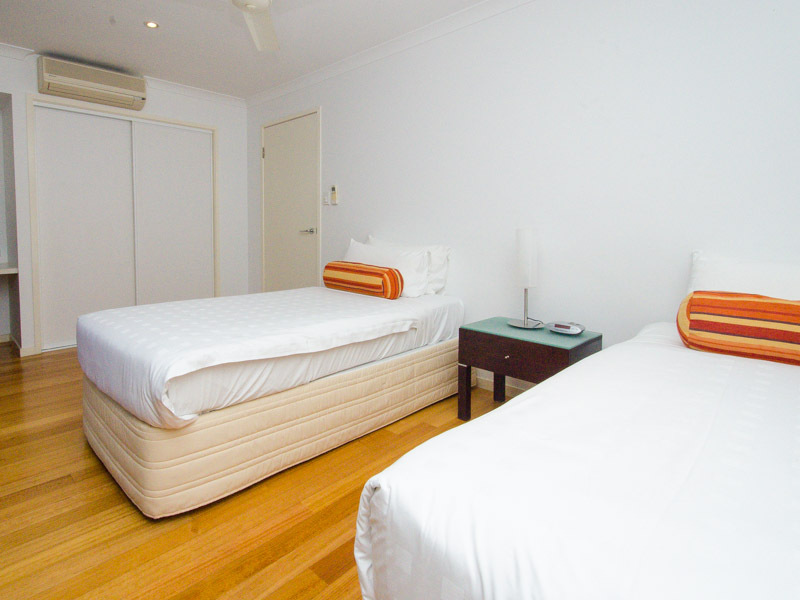 There are two spacious bedrooms - the first with a king bed, and the second with two single beds.